If you thought you escaped the wraths of ‘pink slime‘ with your pescetarian diet, you’re in for some stomach-clenching news that comes in the form of ‘tuna scrape’. The fishy concoction was recently recalled by the FDA after a serious outbreak of salmonella poisoned 116 people in 20 states and the District of Columbia. According to the FDA, the tuna scrape is “tuna backmeat, which is specifically scraped off from the fishes’ bones, and looks like a ground product.” This meat is served up across the US in everything from tuna burgers to that spicy tuna roll you had last night. The ground fish, also called Nakaochi Scrape, is sold frozen to both supermarkets and restaurants. 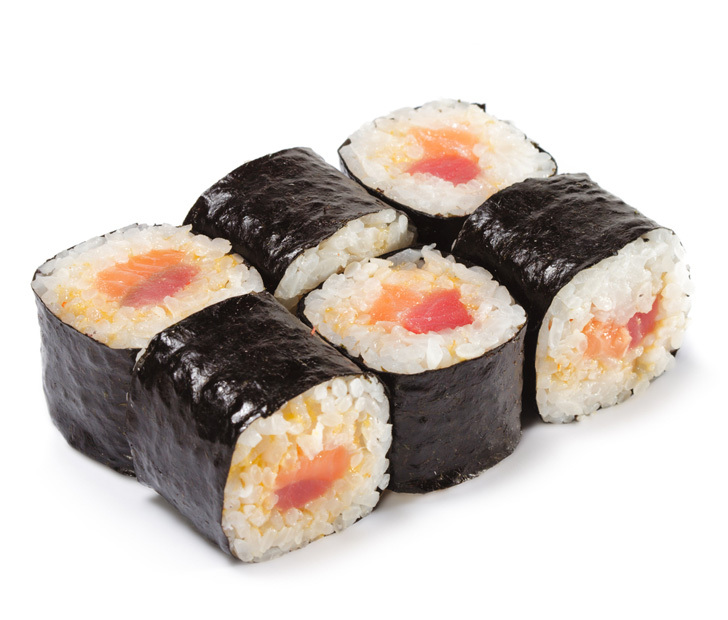 The meat originally comes off the bones of countless tuna and is blended together to create a new goopy mixture that typically finds itself in sushi rolls. 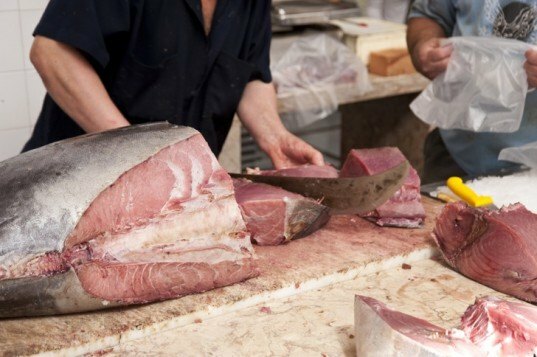 While the meat isn’t chemically treated, such as the case with pink slime, the tuna scrape is a mixture of many fish, and this is where the risk lies. As Michael Doyle, director of the Center for Food Safety at the University of Georgia, told NPR, any sort of meat product that’s been ground up poses an increased risk for problems. Contamination occurs when one spoiled carcass is spread into an entire batch; and this becomes especially worrisome when you consider that the scrape is being eaten raw. While we wouldn’t go as far as to say giving up sushi is the only remedy, taking greater precaution the next time you hit up your local haunt certainly won’t do you harm. Fish is the number-one culprit in salmonella outbreaks caused by imported food, and more than three-quarters of seafood consumed in the United States comes from abroad. If you thought you escaped the wraths of 'pink slime' with your pescetarian diet, you're in for some stomach-clenching news that comes in the form of 'tuna scrape'. The fishy concoction was recently recalled by the FDA after a serious outbreak of salmonella poisoned 116 people in 20 states and the District of Columbia. According to the FDA, the tuna scrape is "tuna backmeat, which is specifically scraped off from the fishes' bones, and looks like a ground product." This meat is served up across the US in everything from tuna burgers to that spicy tuna roll you had last night.